For Ash Riddell, the road less travelled to her AFLW debut was well and truly worth the wait. 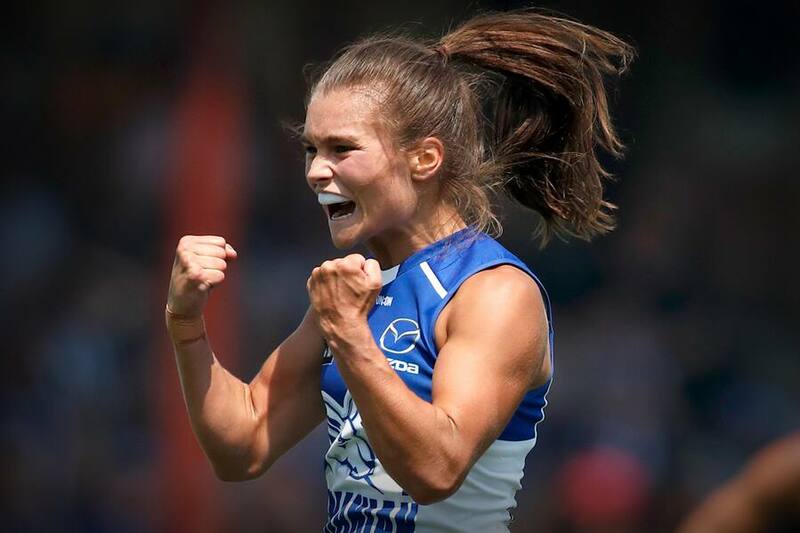 After being overlooked in consecutive drafts, the running machine finally got her opportunity as the North Melbourne Tasmania Kangaroos scored a historic victory over Carlton. “I was so nervous before the game,” she told North Media. The significance of the milestone was further strengthened by Riddell’s memorable performance, booting the second goal when the game was still very much up for grabs. When quizzed on the importance of her contribution, the midfielder was quick to shine the spotlight on her teammates, particularly spearhead Jas Garner. “Jazzy gave me a good kick into the centre, so I was fortunate that she kicked it lace out to me,” Riddell explained. Riddell said the Roos’ big win was the ultimate reward for hard work from a group that came together barely a few months ago. After 16 disposals and four tackles on debut, Riddell will be looking for another big performance against GWS on Friday night in Sydney.